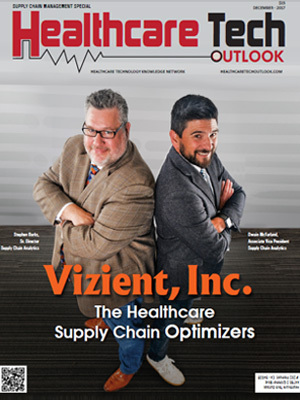 Healthcare supply chain plays a pivotal role in hospital purchasing and inventory management. It is tasked with managing all the activities from manufacturing, procuring, and transportation of different medical products such as surgical supplies, devices, and pharmaceuticals. As the industry is transitioning toward value-based care and witnessing increased regulatory pressure, efficient healthcare supply chain management would lead to faster, safer, and more affordable healthcare. Healthcare supply chain solutions are adopting varied technologies to achieve high-efficiency levels. The entry of cloud in the healthcare supply chain is helping reduce operational and administrative expenses. On the other hand, data analytics is evolving healthcare supply chain from simply a transaction-driven process into a strategic, data-driven procedure. It has become a reliable means to improve supply chain management performance and forecast supply chain outcomes. Analogous to any other arena, healthcare supply chain is filled to the brim with countless solution providers, which makes it a very cumbersome process for a CIO to choose the right solution provider. To make this task easier, Healthcare Tech Outlook proves itself to be a beacon in the healthcare supply chain industry. Our distinguished selection panel, comprising CEOs, CIOs, CTOs, industry analysts and the editorial board of Healthcare Tech Outlook has reviewed the top providers and shortlisted the ones that exhibit competence in delivering robust healthcare supply chain management solutions.